New in New jacket. Lang: -English, Pages 352. It is the reprint edition of the original edition which was published long back (1931). The book is printed in black on high quality paper with Matt Laminated colored dust cover. We found this book important for the readers who want to know more about our old treasure so we brought it back to the shelves. We tried to manage the best possible copy but in some cases, there may be some pages which are blur or missing or with black spots. We expect that you will understand our compulsion in these books. Print on Demand. New. Item Name: Religion of Tibet ~ Item typically ships from our NJ location and will take 3-5 business days for US delivery. Paperback Binding. Quick shipping, 20 years in business. Satisfaction guaranteed. (32263-32263-1-1---0) This volume forms a sequel to the author's Tibet: past and Present and the people of Tibet. Like them, it is in part an historical account, in part a description of conditions in the earlier part of the twentieth century. 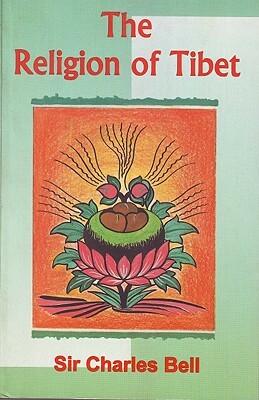 Sir Charles Bell traces the History of the introduction of Buddhism, of the resistance and general decay of the older magic-worship of Ponism, and of the developments which have taken place within Tibetan Buddhism itself. The latter part of the Book deals more particularly with the Religious organization, with life in the great monasteries and with the religious customs and beliefs of the people. The illustrations are from the author's own photographs taken in Tibet, Sikkim and Bhutan. New in New jacket. Lang: -English, Pages 352. Leather Binding on Spine and Corners with Golden Screen Printing on round Spine Marble Paper in front, look like old binding (extra customization on request like complete leather, Golden Screen printing in Front, Color Leather, Colored book etc. ) Reprinted in 2016 with the help of original edition published long back . This book is printed in black & white, sewing binding for longer life, Printed on high quality Paper, re-sized as per Current standards, professionally processed without changing its contents. As these are old books, we processed each page manually and make them readable but in some cases some pages which are blur or missing or black spots. If it is multi volume set, then it is only single volume. We expect that you will understand our compulsion in these books. We found this book important for the readers who want to know more about our old treasure so we brought it back to the shelves. Hope you will like it and give your comments and suggestions. Print on Demand.